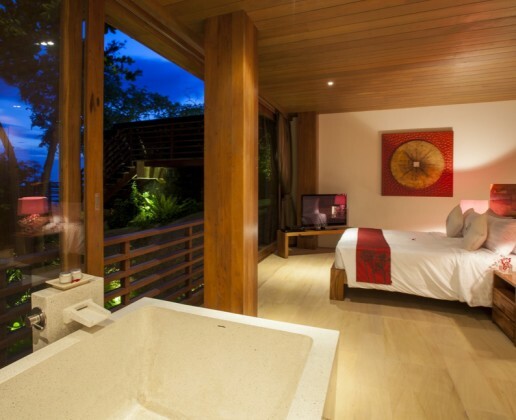 Price start from 1500 USD per night. 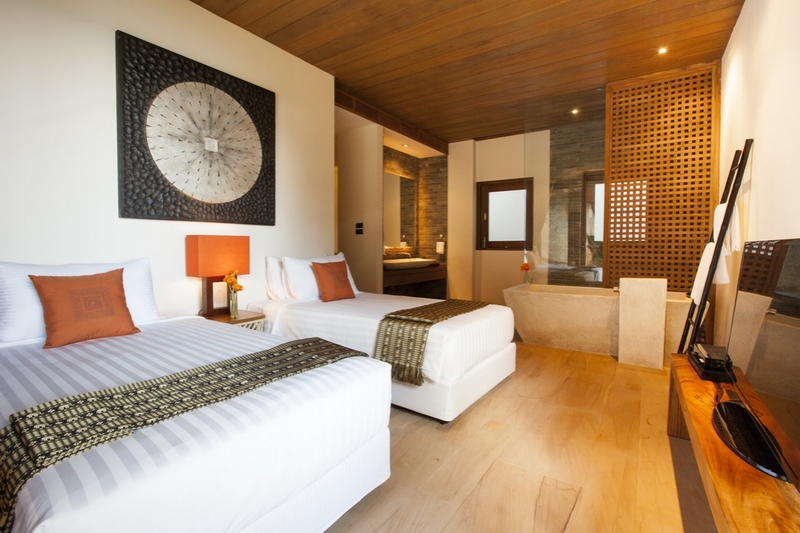 All rates are excludes 10% service tax and 7.0 % government tax. 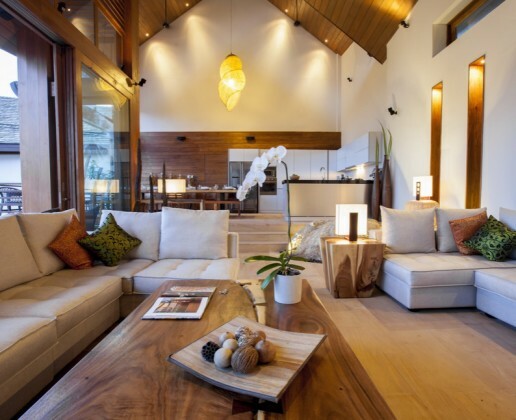 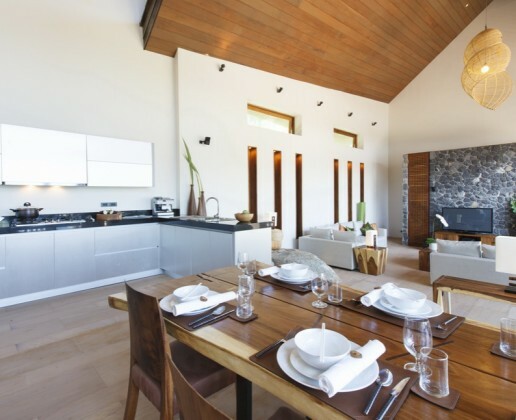 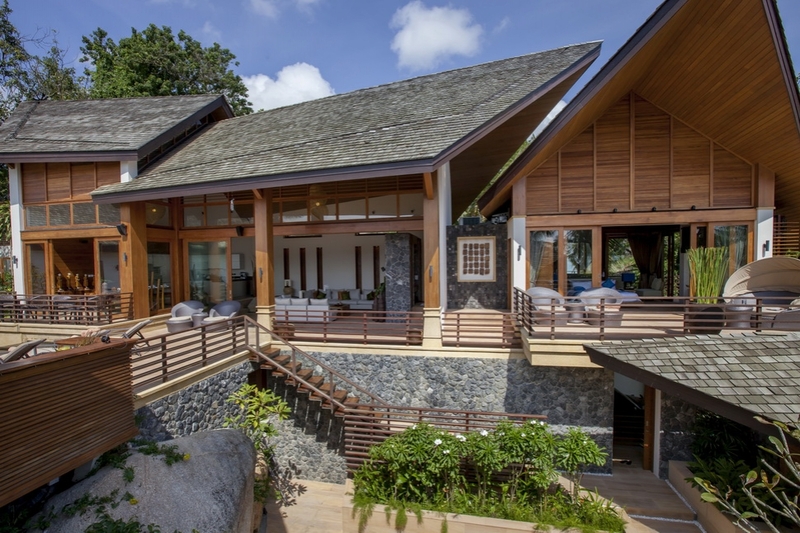 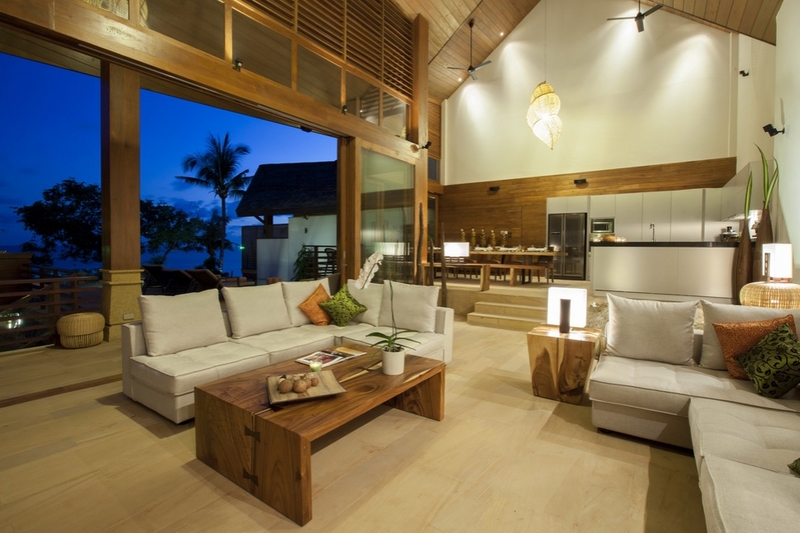 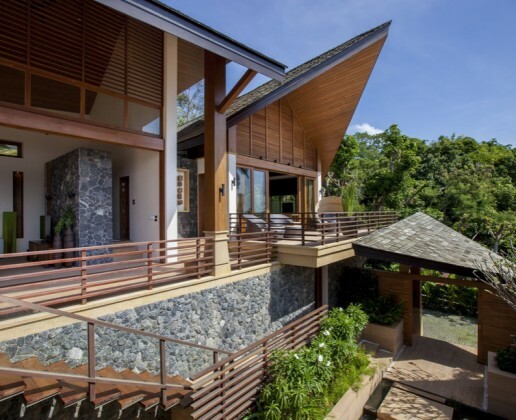 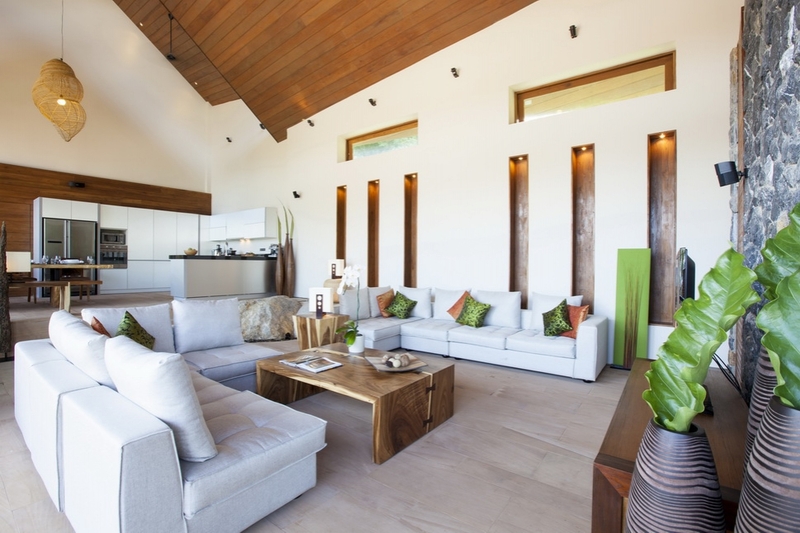 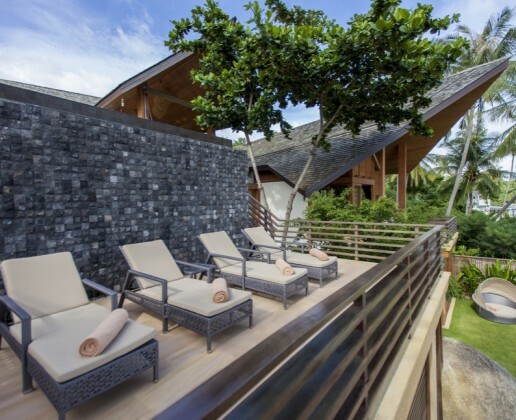 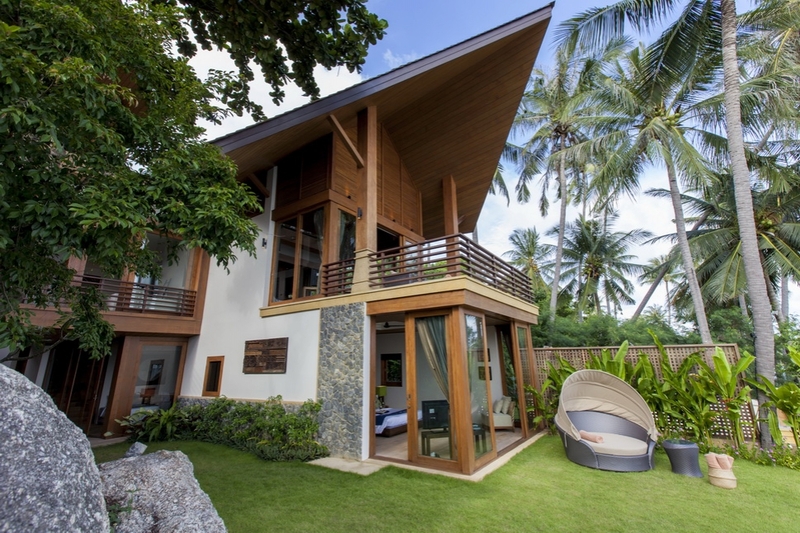 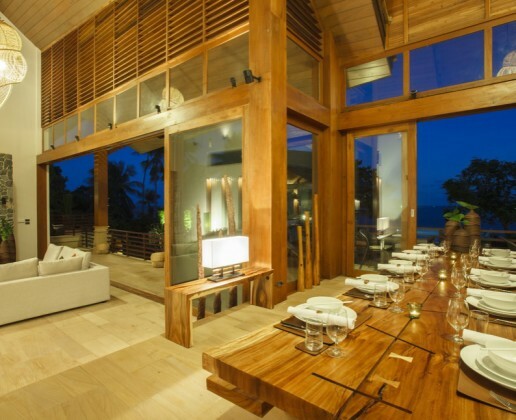 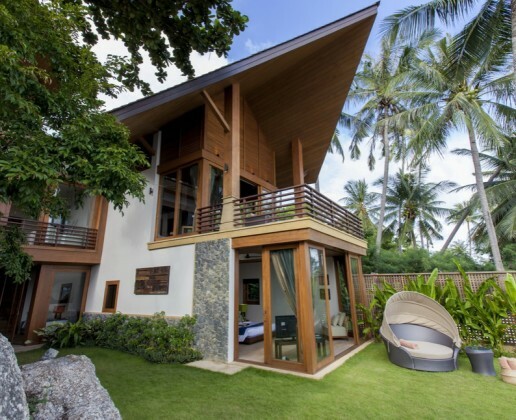 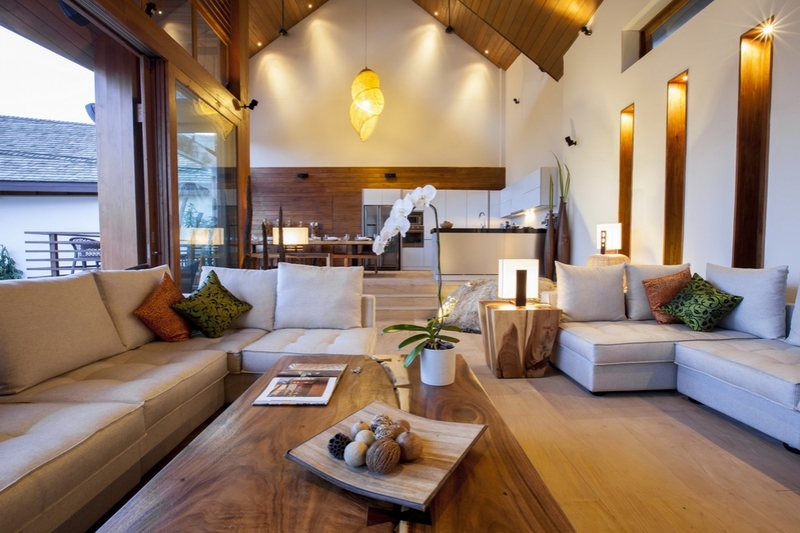 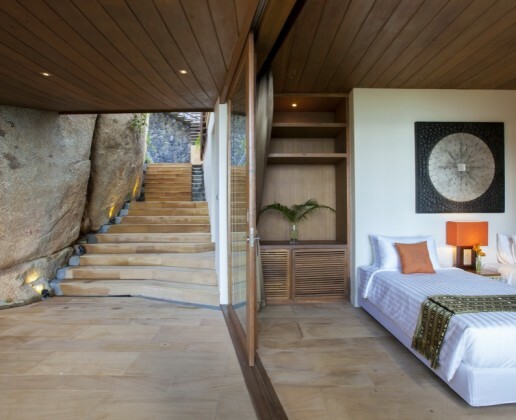 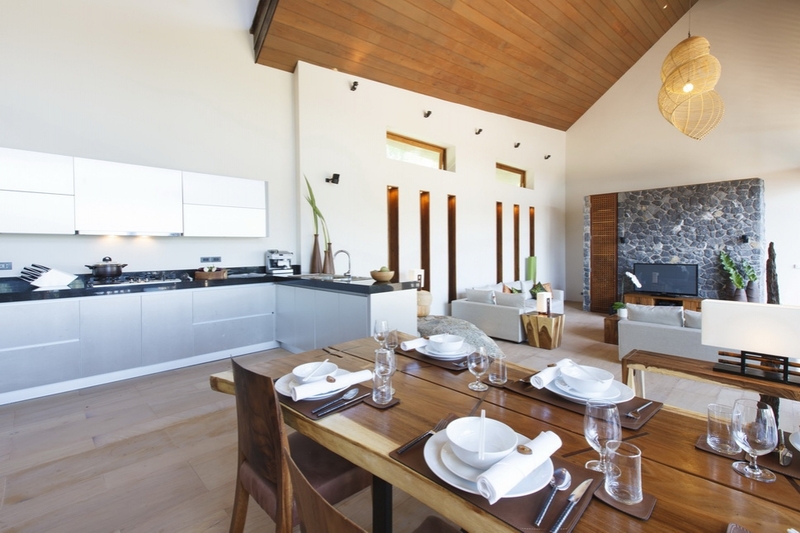 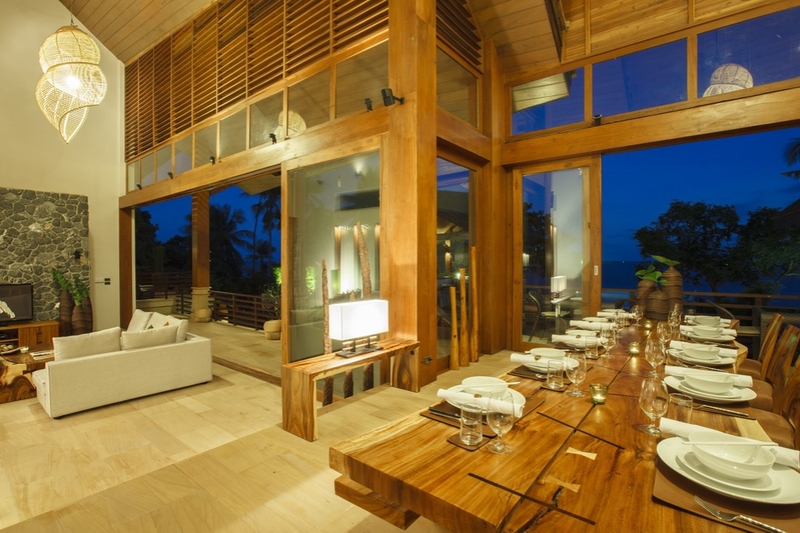 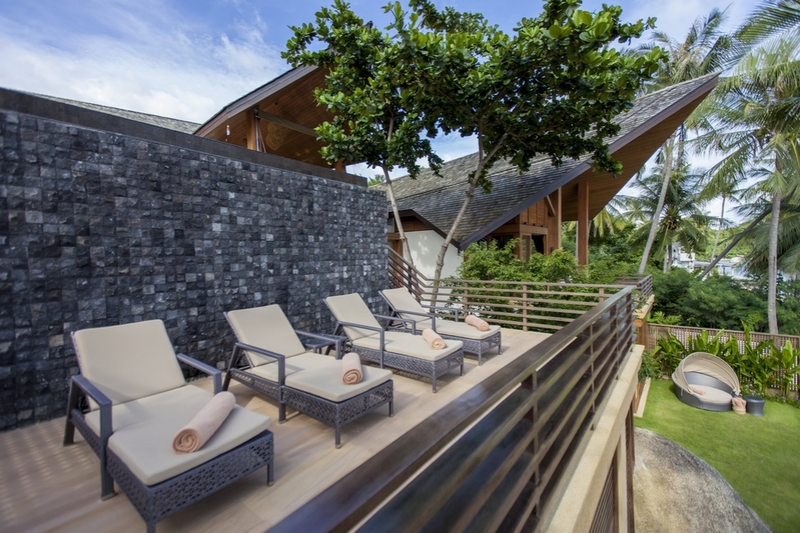 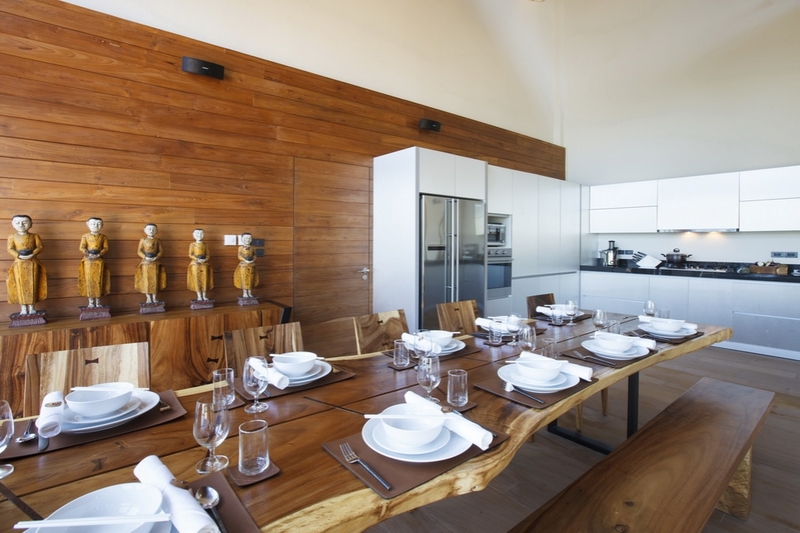 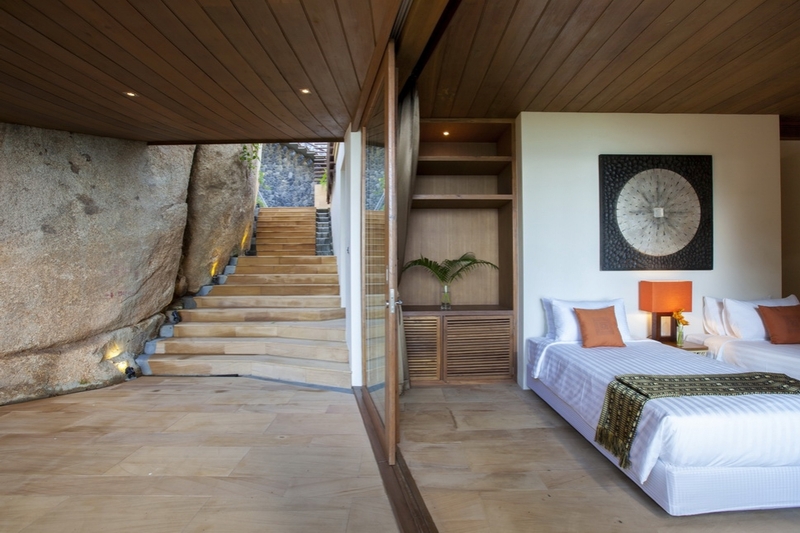 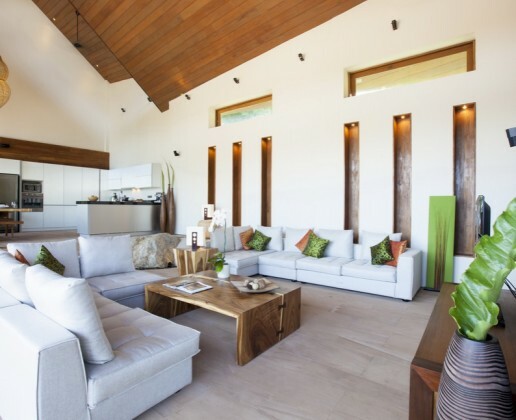 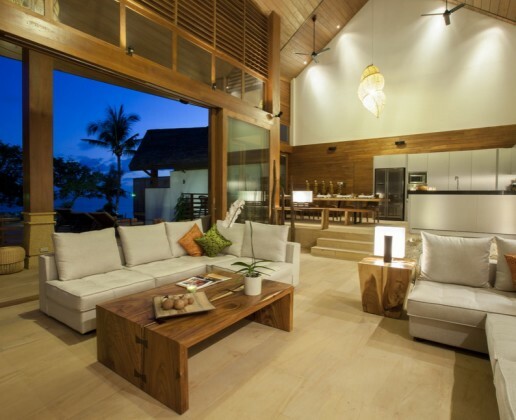 Villa is a supremely stylish and elegant holiday pad. 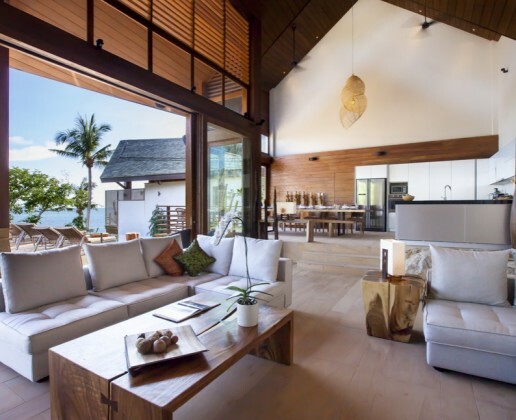 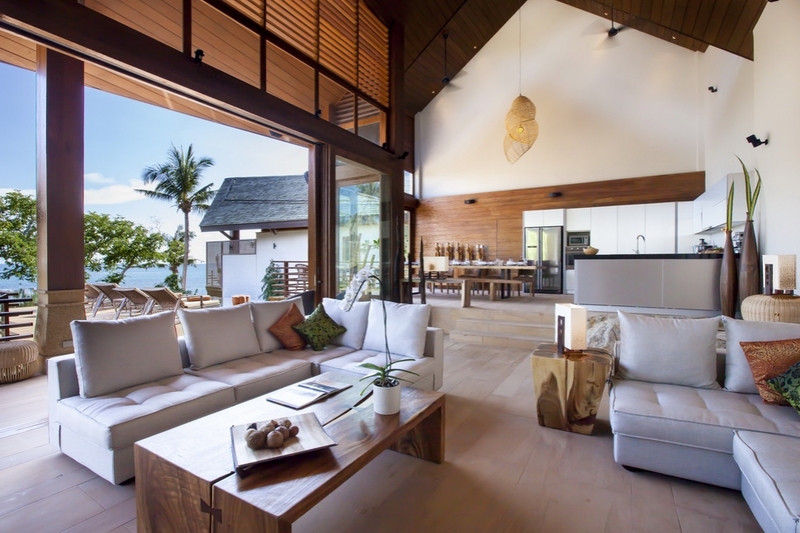 The location feels totally private and you can drift easily between the various living, dining, and relaxation spaces without ever disconnecting from the amazing coastal views. 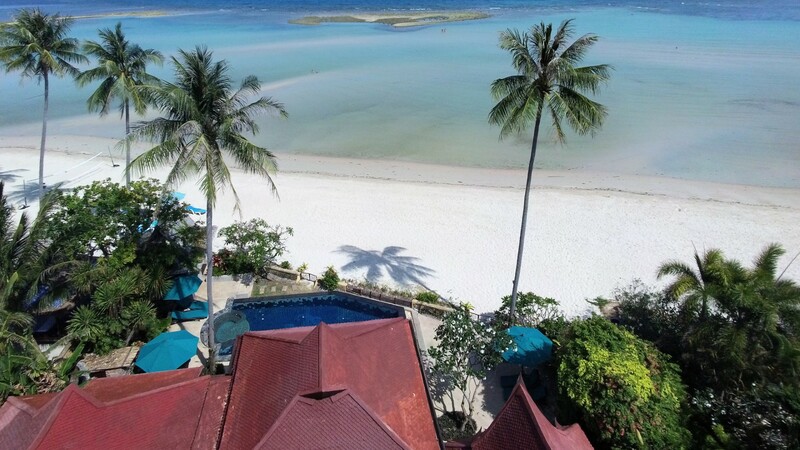 The small but quiet beach makes swimming and watersports a daily pleasure, whilst the tempting pool and sun terrace make for an ideal spot to sit with a cool drink and watch the sun-drenched day turn into tropical night. 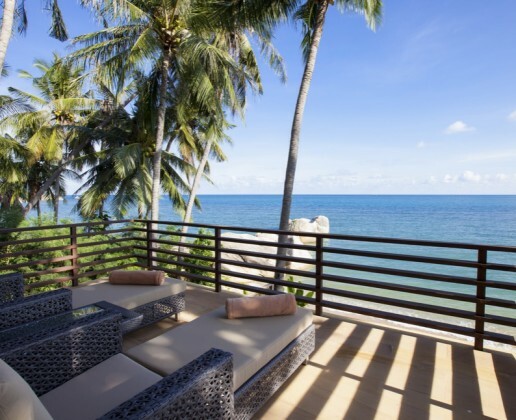 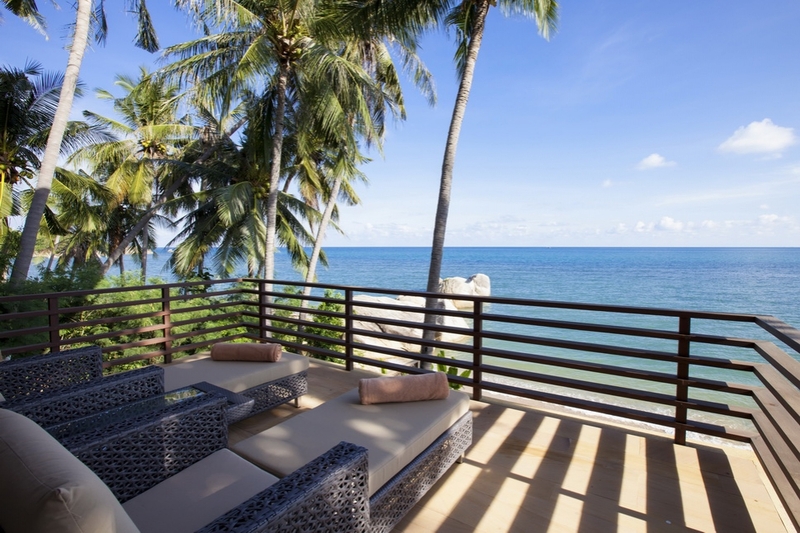 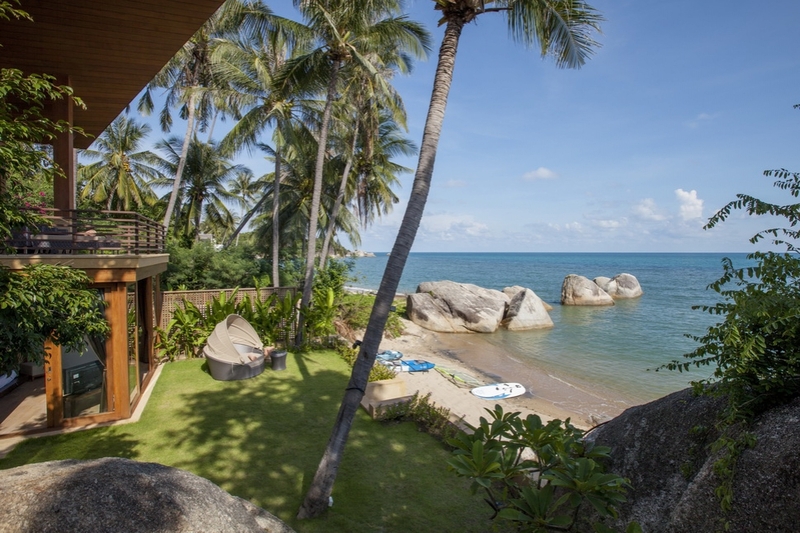 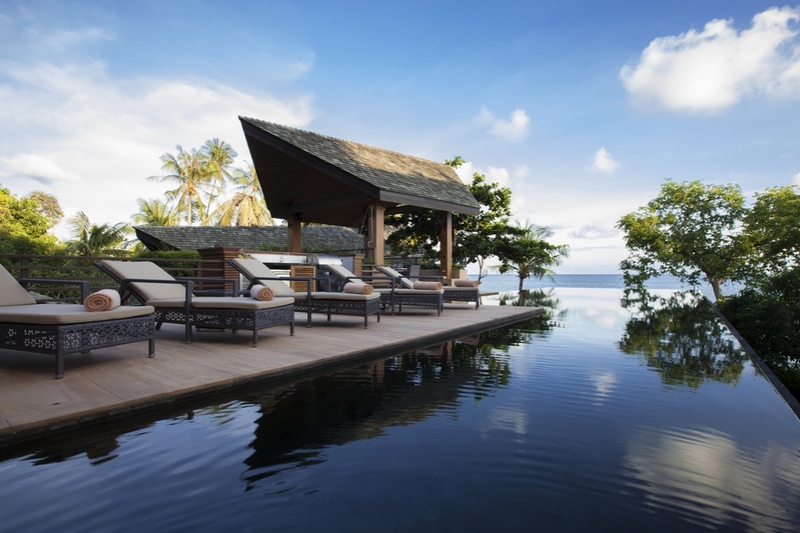 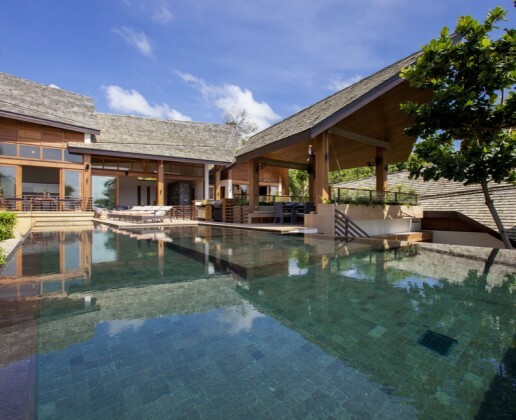 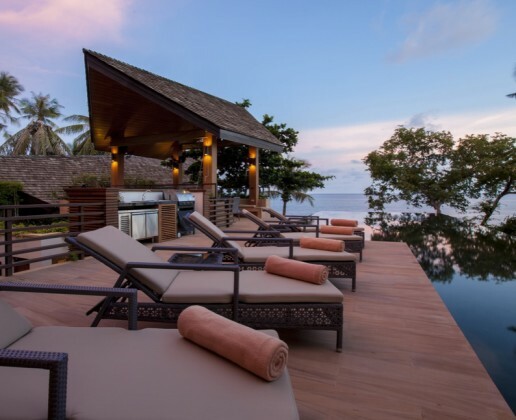 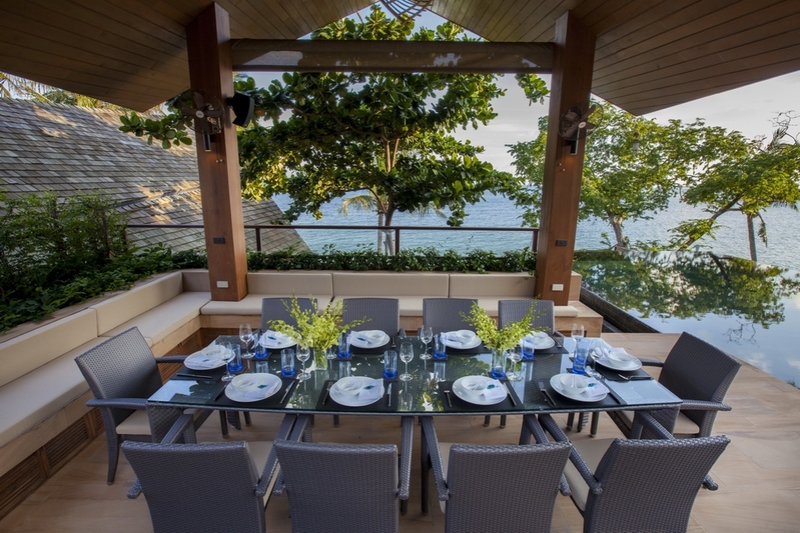 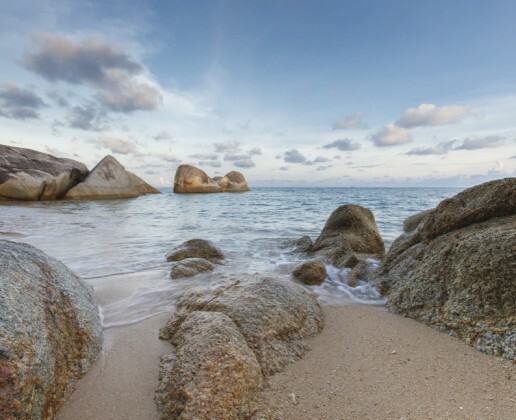 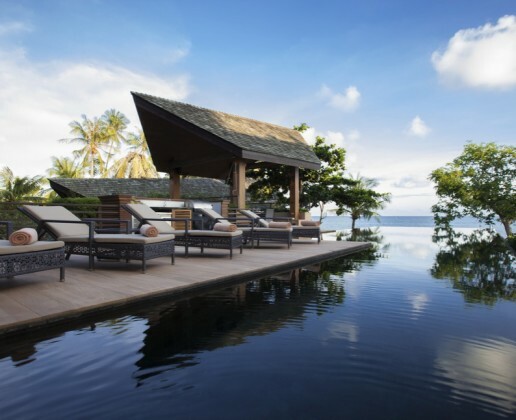 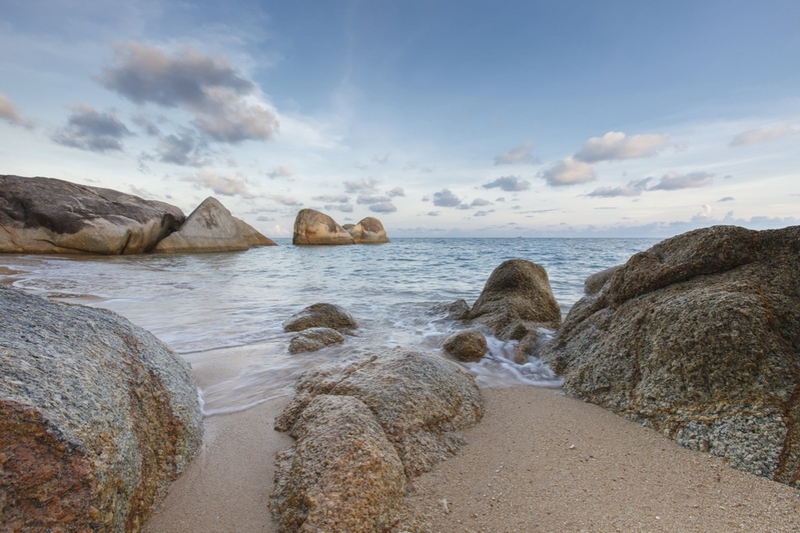 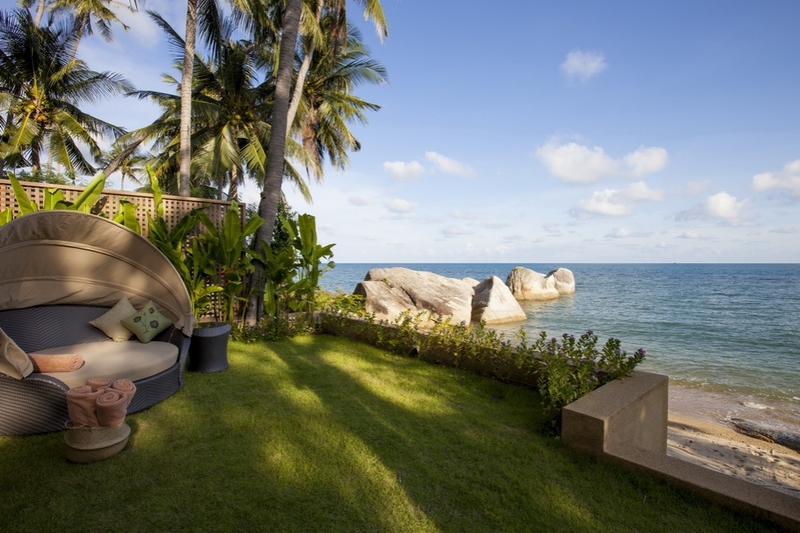 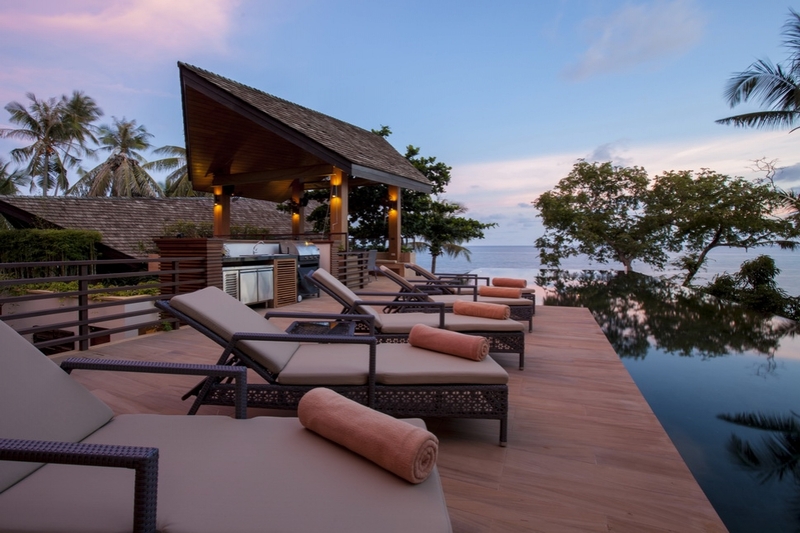 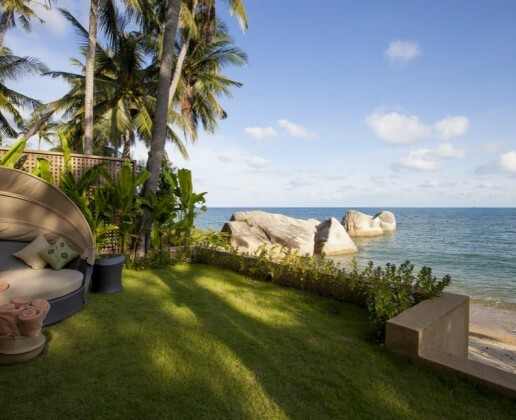 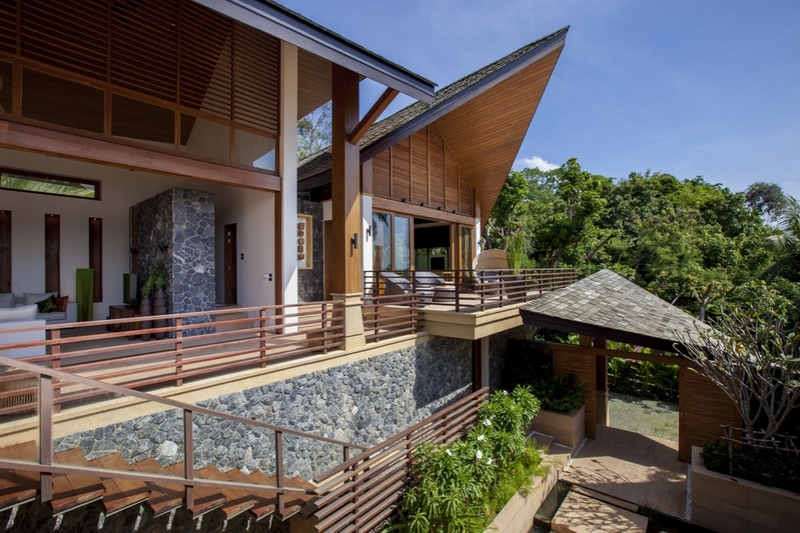 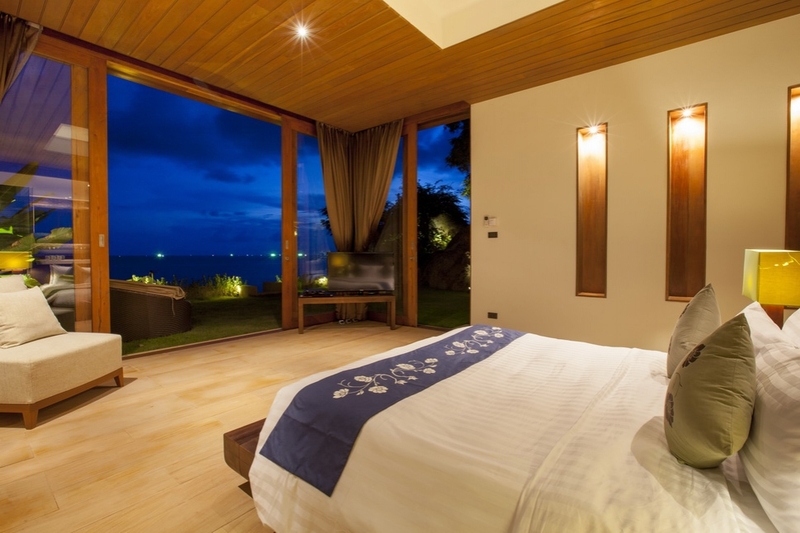 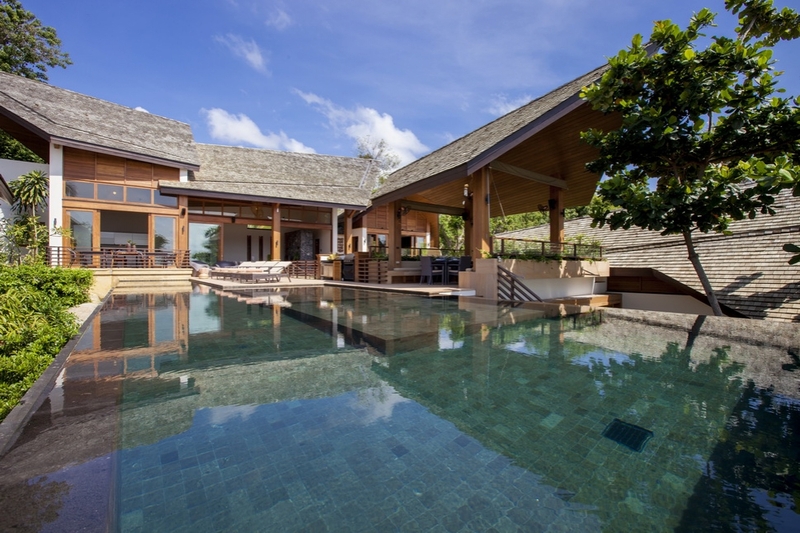 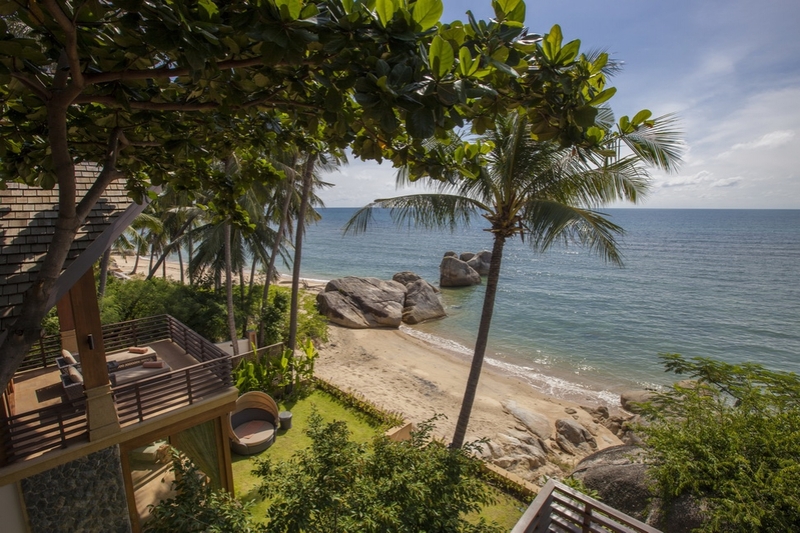 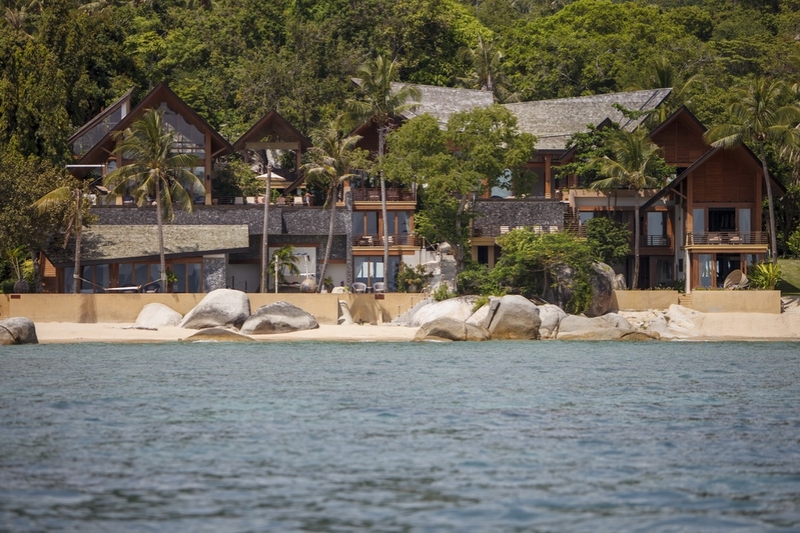 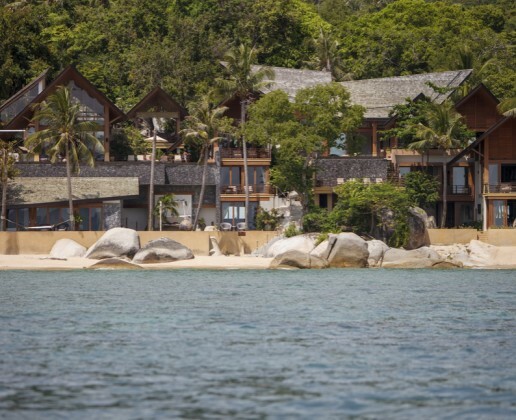 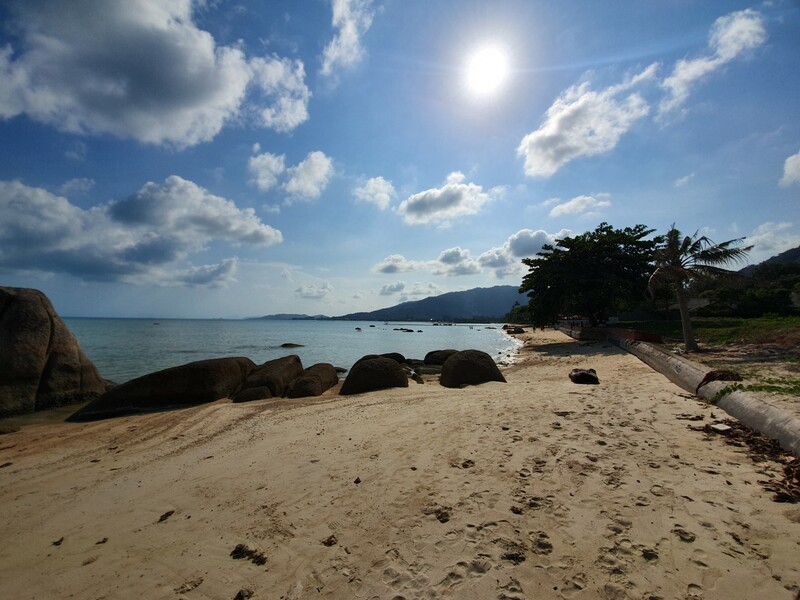 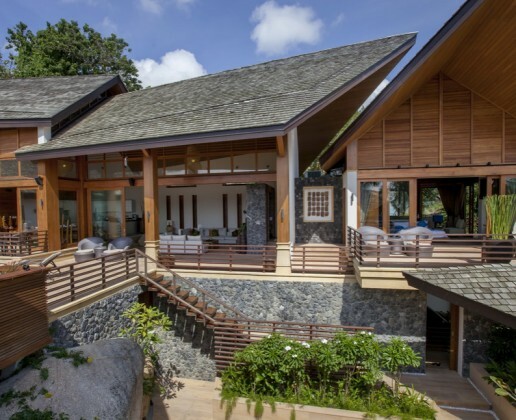 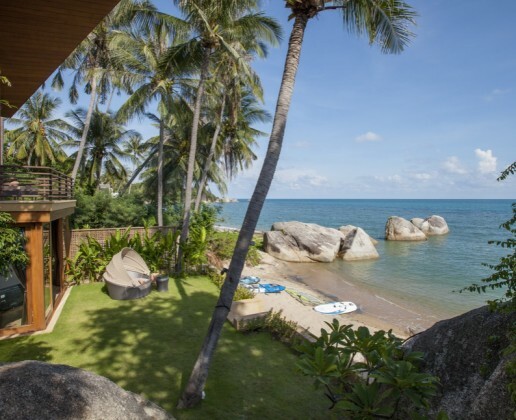 The villa sits on the picturesque south eastern coast of Koh Samui, 25 minutes drive from the international airport and10 minutes from the bustling tourist town of Lamai. 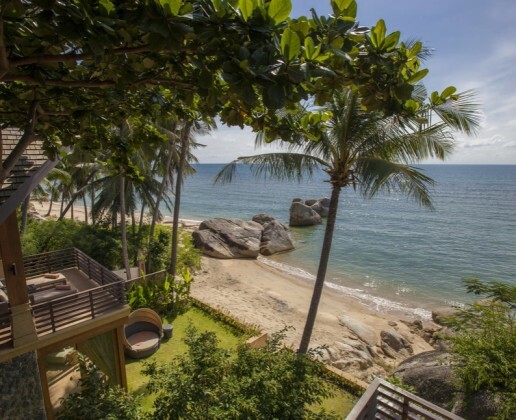 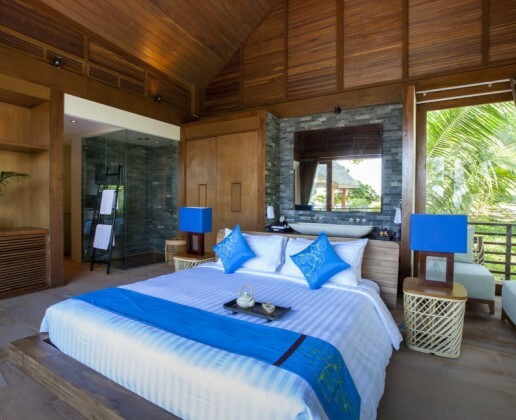 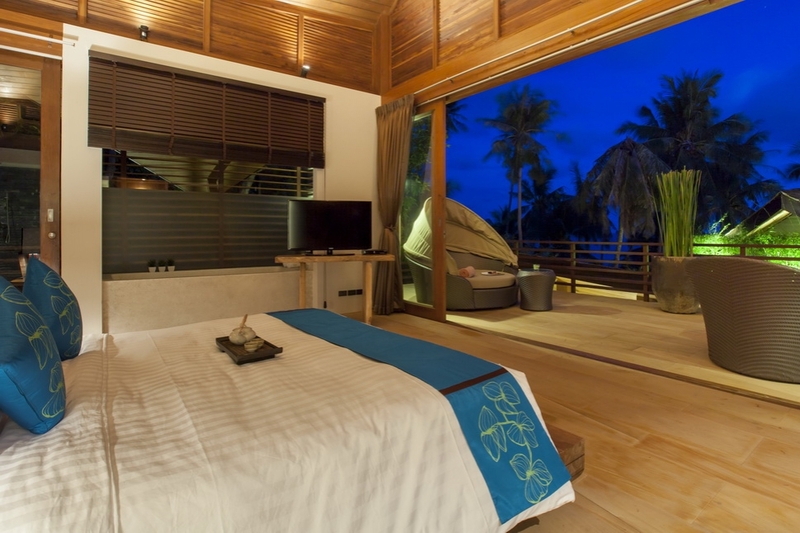 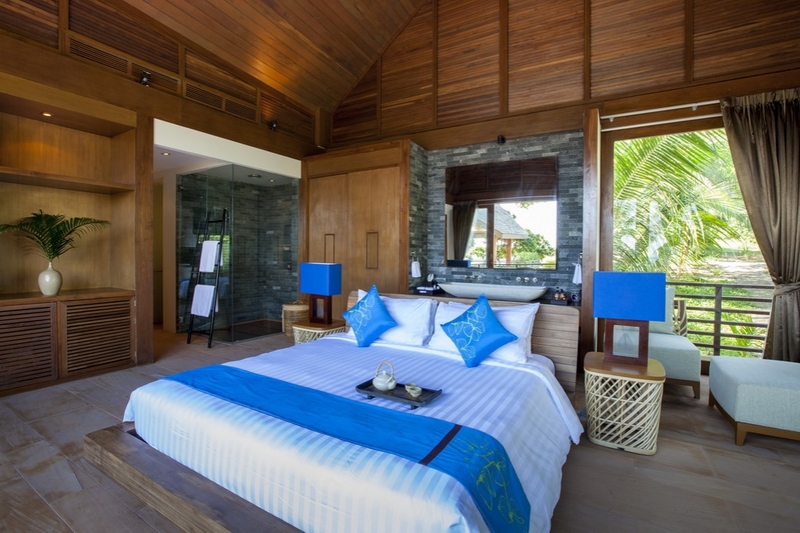 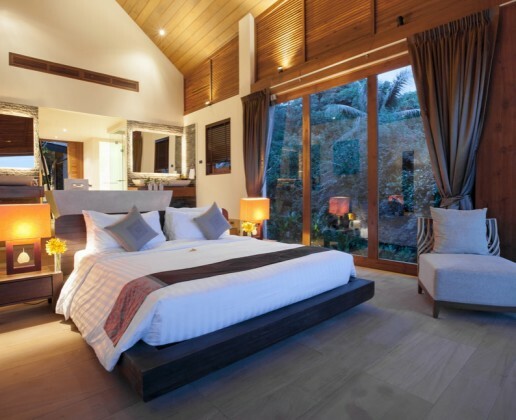 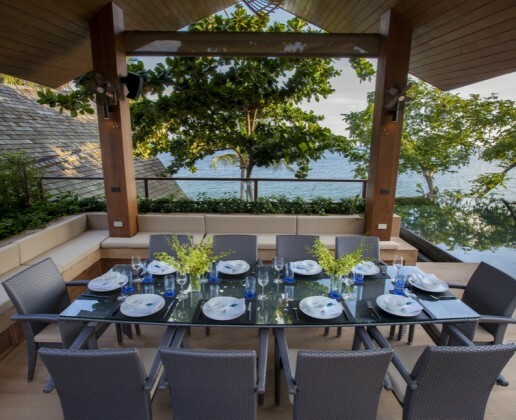 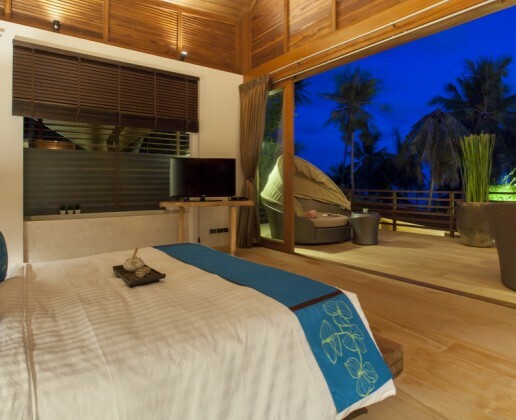 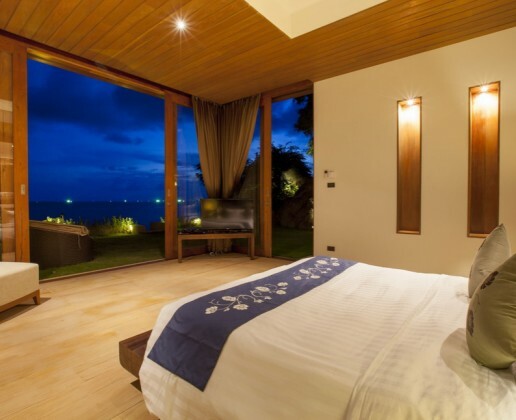 The villa is within walking distance of several resorts, restaurants, shops and spas and also close to Samui’s famous Hinta/Hinyai tourist site from which it takes its name. 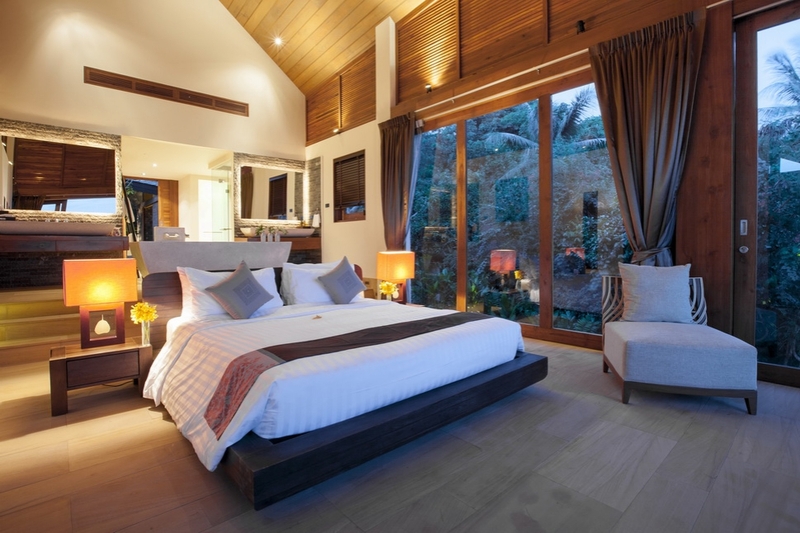 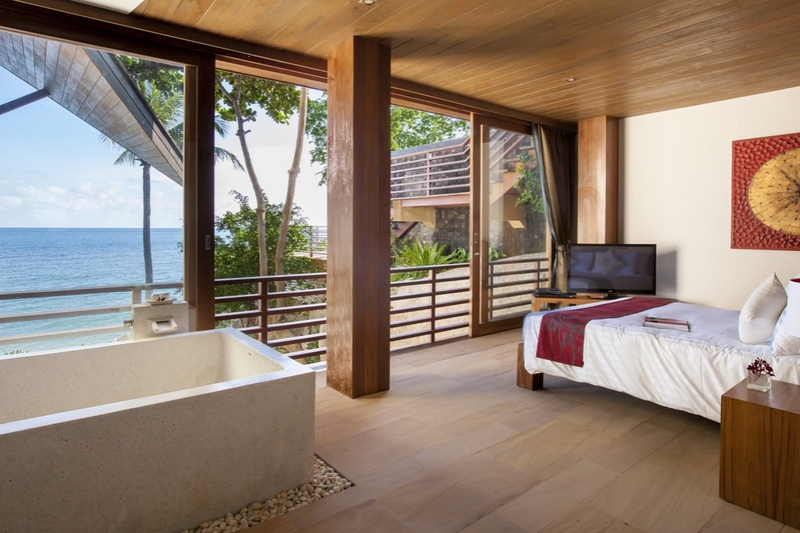 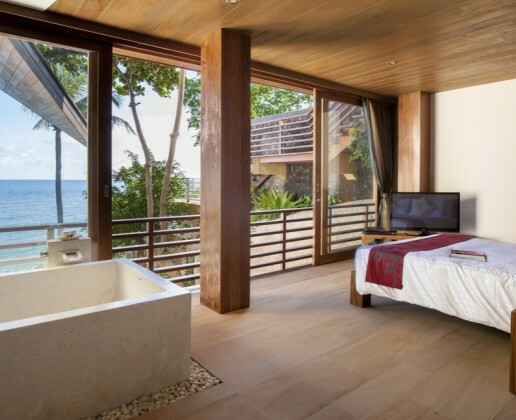 Daily rates of 5 bedroom start from US$ 1,550 to 3,050 depending on season. 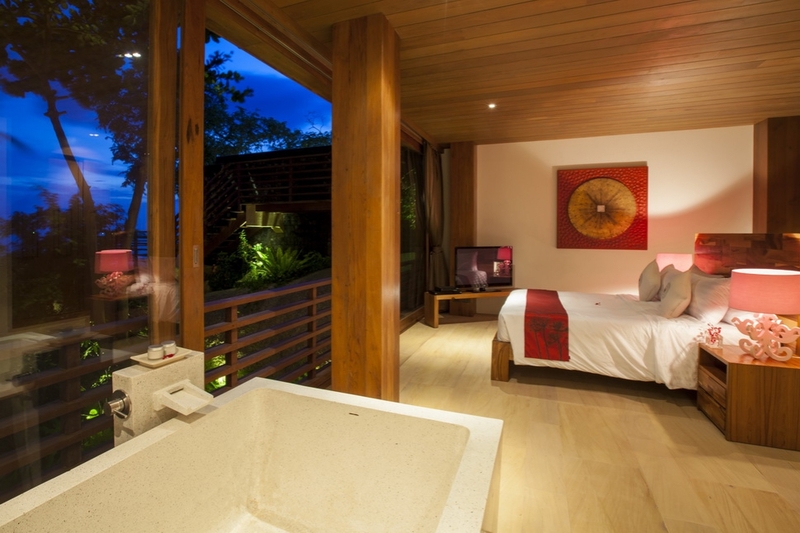 Reduced occupancy rates of 4 bedrooms available from US$ 1,450 to 3,050 depending to season. 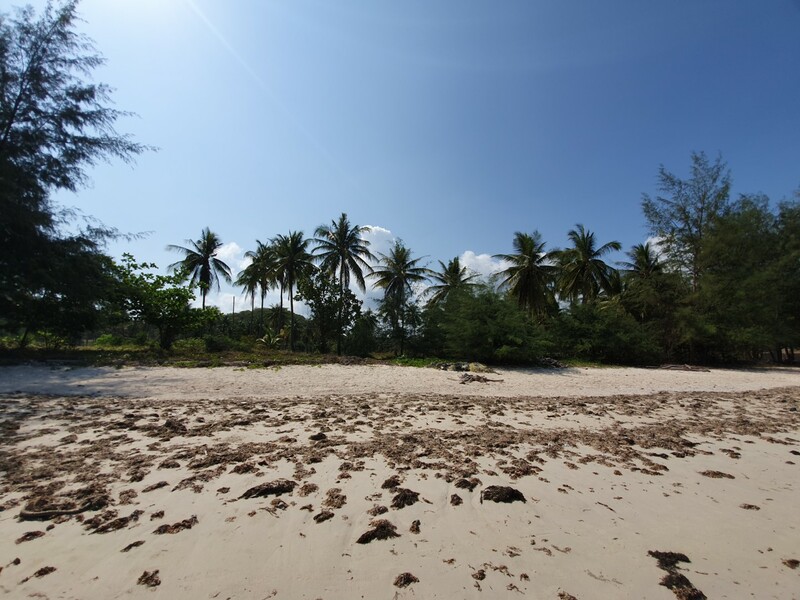 Stunning beach land (7.5325 Rai = 12,052 Sqms) with a gentle slope leading to a 110 meter beach front, golden sands and crystal clear water. 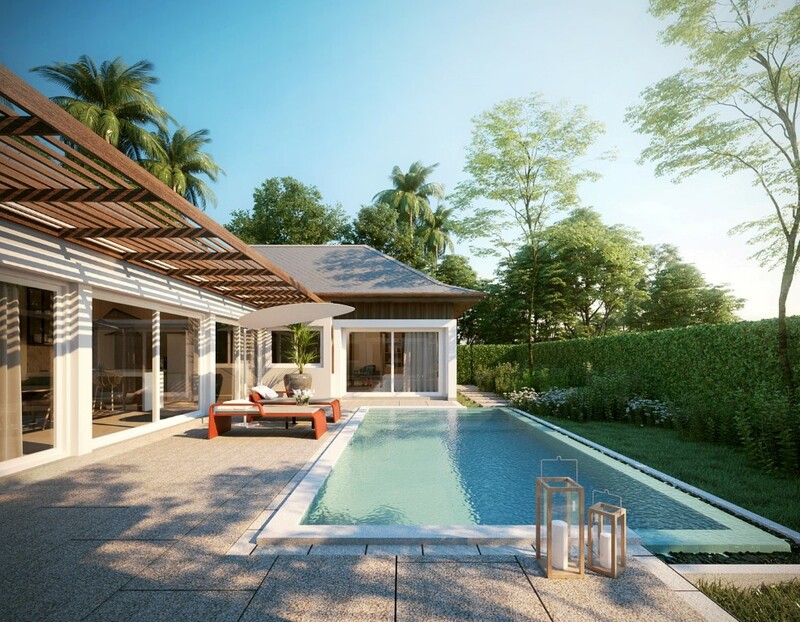 This development with 3 to 5 bedrooms villa consists of a total of 17 villas located in Lamai, within a short drive of Lamai beach and center.